The quality of the campsites authorised to display the Camping Qualité logo is guaranteed by strict and precise specifications. The 665 criteria which make up the specifications enable all the Camping Qualité campsite managers to design and improve their services according to the same set of standards. Each point is regularly checked in independent inspections, for the purposes of perfectionism, objectivity and transparency. Quality means nothing unless is it monitored and not subject to self-checks. Both before receiving Camping Qualité certification and throughout their commitment, the campsite managers submit to independent audit inspections. The taking into account of letters of complaint received from holidaymakers, to which the managers shall undertake to reply. There can be no quality without monitoring. This is the first time in France that a quality approach, recognised by public and tourist bodies, has been conducted in partnership with consumers. 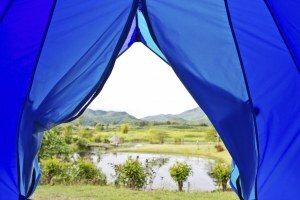 Unlike self-checking, where the professionals are both judges and stakeholders, the Camping Qualité approach works with the French Federation of Campers, Caravanners and Motorhome Owners (FFCC) and the French National Outdoor Accommodation Federation (FNHPA). Professionals and holidaymakers, united within the same approach, are what give Camping Qualité all its credibility and impartiality. Objective quality and subjective customer reviews. Despite their great usefulness, customer reviews remain subjective and partial. They will never be able to replace a quality charter like Camping Qualité, where the approach remains objective, impartial, recognised, monitored, progressive and supervised. 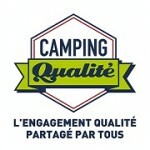 Unlike Camping Qualité, consumer reviews have no charter, no carefully developed and tested grid, nor any regular checks.